Beirut (AFP) - Jihadists from the Islamic State group blew up a pipeline feeding natural gas from eastern Syria to the suburbs of the capital Damascus early Wednesday morning, a monitor said. 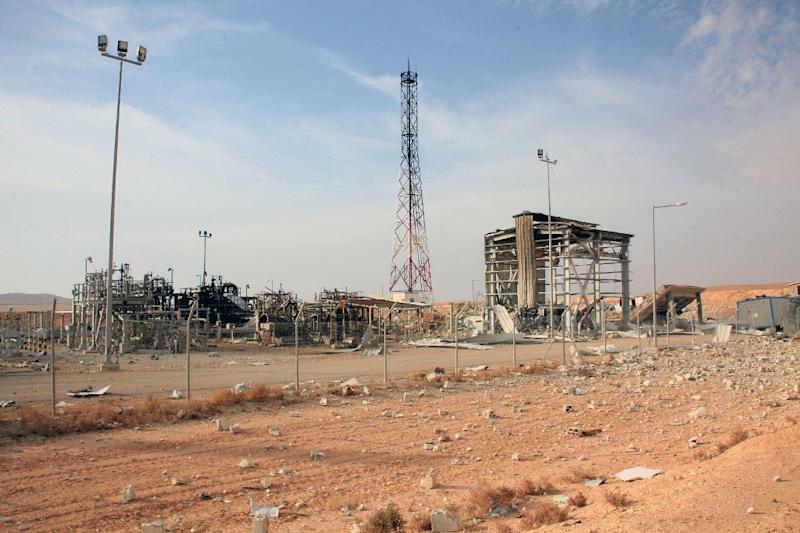 The Syrian Observatory for Human Rights said IS blew up the pipeline near the T-4 military airport in the east of central Homs province shortly after midnight. "This pipeline was used to carry gas into the suburbs of Damascus and Homs to generate electricity and provide heating in individual homes," said Observatory head Rami Abdel Rahman. IS has seized a number of oil and gas fields in Homs province, most recently during its offensive on the ancient city of Palmyra. These fields were key to Syria's embattled regime, which relied on them for power generation in its dwindling areas of control. "Any hit to the regime's gas supply is important, because its resources are very low," Abdel Rahman told AFP. While IS has made use of oil fields it has captured to generate income, processing natural gas is much trickier, according to Yezid Sayigh, an analyst at the Carnegie Middle East Centre in Beirut. Blowing up gas pipelines demonstrates that "the name of its game for now is denial of key resources to the regime," Sayigh wrote recently. Government forces lost Palmyra to IS on May 21, and ceded additional territory southwest of the city in the following days. They have also withdrawn from the majority of Syria's northwest Idlib province, where a rebel coalition including IS's jihadist rival, the Al-Nusra Front, has consolidated its control. Military aircraft regularly strike rebel-held areas in the province and on Wednesday the Observatory said regime raids killed 10 civilians, including three children, in the town of Saraqeb. The country's conflict, which began with anti-government demonstrations in March 2011, has killed more than 230,000 people and forced millions to flee. Should Notre Dame's beloved spire be rebuilt?